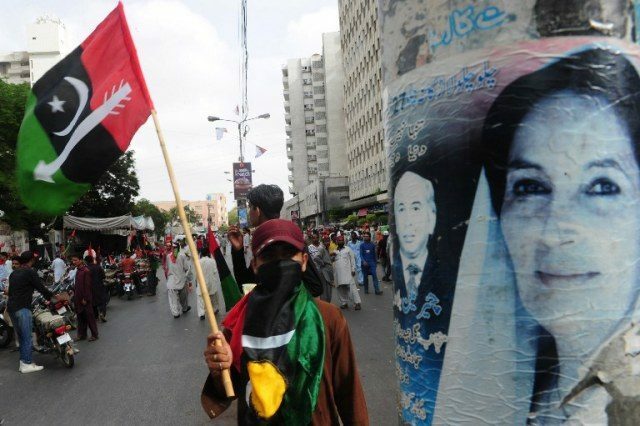 The police fined a PPP candidate and booked another on Wednesday for displaying weapons during their election campaigns, SAMAA TV reported. PPP candidate from PS-32 (Khairpur), Nawab Ali Wassan was fined Rs50,000 when his party members displayed arms during an election gathering. The police registered a case against another PPP candidate Daud Jatoi in NA-186 (Muzaffargarh) for displaying firearms during an election rally. According to the Election Commission of Pakistan’s code of conduct, aerial firing and show of arms by candidates or their supporters is strictly prohibited. Candidates are only allowed to keep licensed weapons to ensure their own security.